Between the ages of two and three, most girls show signs that they’re ready for potty training. They don’t tuck a newspaper underneath their arms and make a beeline to the bathroom after a heavy breakfast, but they exhibit eagerness, nonetheless. Of course, this doesn’t mean it’s smooth sailing – and clean undies – from here on. 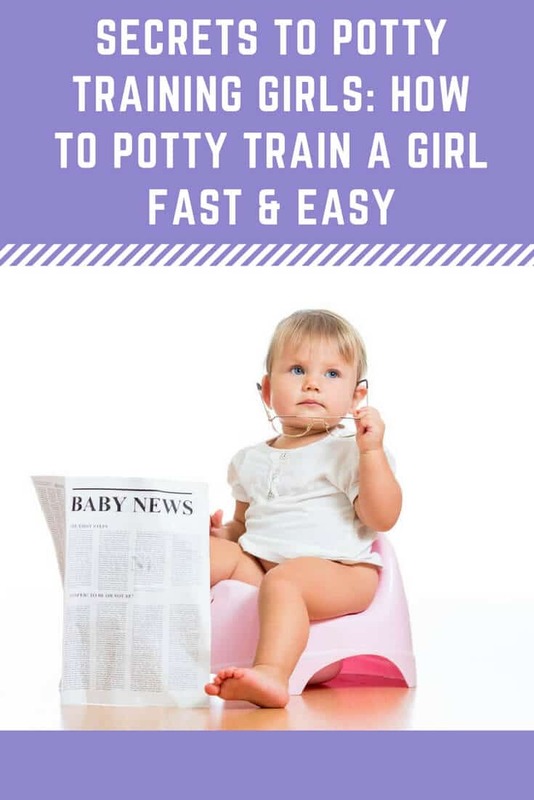 Potty training girls is a challenge but knowing a few tricks can help you beat the bowels! 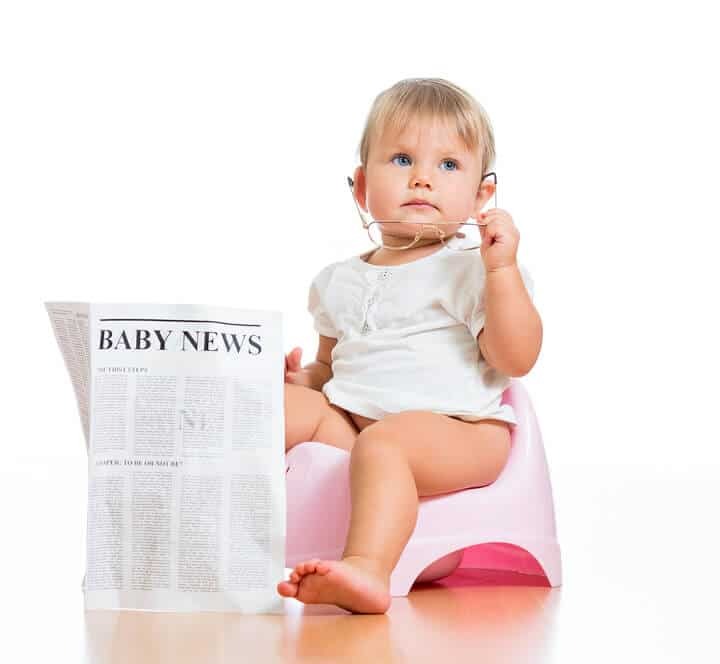 The first step in a successful potty training experience is to make sure the timing is right – starting too early will only invite failure; starting to late will make the process more difficult. Look for signs that your daughter is amenable to no longer wetting her pants. What are these? She may show interest in the toilet, she may stay dry for long periods, she may hold herself, or she may be able to pull her pants up and down. Once she shows these signs, you can start. However, make sure that you don’t begin during a time of any other transition – not when she’s getting a new babysitter, not when grandma is visiting, and not when you’re taking a trip. If your daughter continues to struggle with the potty, she might not be ready yet. Get out the diaper pail and give it a few weeks! Then try for “dry” again. There are a few ways you can accomplish this. To start, use your daughter’s desire to imitate you to your advantage (assuming you’re potty trained :-)): she wants to be like mommy and daddy. Show her how you use the toilet by letting her look on as you go about your business, then encourage copycat behavior. A child-size potty isn’t just cute; it’s practical. A small toilet tends to make toddlers feel much more secure than large toilets. They’re safer too – the rims of full-size toilets are wide, allowing your child to unwittingly go for a swim. Instead of buying a tiny potty, you may also buy an adapter seat. But make sure it’s comfortable and securely fastened. Children who feel comfortable on the toilet are much more likely to take to potty training – from the start, make it clear that the toilet is your daughter’s special place. Allow her to personalize it with stickers or dry-erase markers. And even let her take practice runs where she just sits on the toilet and pretends to go. Many girls enjoy looking fancy – they dress up in flowy gowns and put on their mother’s heels. This is something else that works for potty training girls: take your daughter to the store and allow her to pick out the prettiest underwear she can find. She’ll be much less likely to soil something she views as beautiful or elegant than she will a boring diaper that’s soooo last year. Girls have an innate desire to stay clean. They’re much more concerned than boys about sitting in their own filth: they’re defiant towards the doodie. Thus, if you ask your daughter if she needs to go, she’s likely to be honest with you – she knows that using a toilet keeps her much cleaner than peeing her pants in the middle of the rec room. Of special concern for girls is the act of wiping – they must be taught to wipe from front to back to prevent germs from entering the bladder. Where boys are more prone to “air dry,” girls take special precautions. In fact, urinary tract infections are much more common in girls in the middle of toilet training than they are at other times. If the concept of front to back is too difficult for your child to grasp, teach her to pat herself dry. If she’s not thrilled about wiping – because, hey, who is? – consider buying specially-colored toilet paper to urge her on. You might also find paper with her favorite characters – T.P. with Tweety Bird. Don’t be surprised if your daughter takes to the toilet to pee but prefers to do her pooping outside the lavatory: she does number two at the zoo, inside a canoe, or while shopping for shoes. There are many reasons she may do this – she might be afraid of falling into the toilet and not want to sit on it for long stretches; she may even be constipated. When she exhibits this behavior, refrain from switching back to diapers. Yes, it’s a choice that’s crappy (literally), but going back to diapers might cause potty training regression. Instead, strive to understand your child’s perspective and do whatever you need to help her overcome her fears (or up her intake of fiber). Make feces fun? That’s a little out there, but making the process seem more like a journey and less like a chore can help motivate your child. You may use food coloring to change the color of the toilet water or reward her with something from a treasure box afterwards. You may read her a favorite story as she goes or sing a song. Make it fun and you’ll make it stick. Girls are known for their imagination – playing pretend games with dolls and stuffed animals – so help your daughter imagine a household free of diaper bills. Play pretend with her by showing how her stuffed bear poops on the potty before heading off to hibernate. This reinforces the copycat behavior and solidifies the root of the concept: going to the bathroom in a bathroom is good; going to the bathroom in the bedroom is not. When your daughter pees in the potty, celebrate! When they poop in a bowl and not in their diapers, acknowledge them. Celebrate triumphs and a job well done. But don’t go over the top – too much hoopla can make your child nervous, ultimately discouraging her from potty use in the process. All kids have accidents – using the potty isn’t really something you get down on the first try. But the more your daughter uses the potty, the more she’ll grow accustomed to it. To help her along the way, be cautious of clothing. Refrain from dressing her in anything that has too many buttons or an outfit too large. Allow your child to embrace being naked (with no diaper, she’ll realize she’s not attached to a toilet and potty-train faster). Watch for visual cues that she needs to go (such as jumping up and down or fidgeting). Never punish or shame no matter your level of frustration. In fact, punishment or shaming is the quickest way to set her back. If your daughter isn’t making progress, take a break – there’s always a chance you started before they were truly ready. If they’re still not taking to the toilet after you’ve tried and tried again, seek the help of a pediatrician. It’s perfectly normal for a child to become fully potty trained during the day but continue to soil themselves during napping or sleeping hours. Bedtime is bowel-time for many kids and 15 percent of five-year-olds continue to wet the bed! The reason is because the brain to bladder connection takes a while to strengthen while sleeping. You’ll likely keep your child in bedtime diapers even after she’s daytime trained, but you can do away with the barrier once she wakes up several days in a row with a dry diaper. Until then, the best thing to do is put your child in diapers when she’s sleeping and return to underwear the second she awakes. Delaying too long upon rising may cause regression. Potty training isn’t something people love: no one goes around claiming to like long walks on the beaches, golf, and exposure to E-coli. Still, if you’re a parent, it comes with the territory. So remain determined – your daughter will follow suit.